It is simply not possible to be forever young. That is a fact that we are all aware of, but the standing question is, can we delay somehow the aging process? From cosmetics companies, to pharmaceuticals, they are all invested in developing means to halt this natural process. In science, the most important goal is to understand the process of aging, not so much so that we can live eternally young but to help treating aging-related ailments like neurodegenerative diseases and the like. What do we mean exactly by caloric restriction? It entails basically, and depending on experimental conditions, a 20-40% reduction in the food intake. For example, for a human that would have a 2000Kcal/day diet, it would mean reducing it to about 1600-1200Kcal/day, and anyone who’s gone though a diet know that that’s not an easy number to live with. As severe as such an intervention may be, it has been shown to be the most effective and reproducible dietary intervention to regulate aging and increase lifespan, healthy lifespan in a number of model organisms ranging from yeast, to worms, flies, rodents and primates. It all started in 1953 , when Crowell and McCay showed that reducing the caloric intake without causing malnutrition, nearly doubled the rats’ lifespan. From then on, this effect has been shown consistently across many animal models, suggesting a conserved phenomenon. However, to date, the exact genetic and molecular mechanisms involved are not totally clear. Do not panic! Caloric Restriction does not mean something so extreme. Among the several pathways recognised to play a role in the life extension properties of caloric restriction stand a down-regulation of insulin and insulin-like signalling (IIS), as well as of the amino signalling target of rapamycin (TOR)-S6 kinase pathway, and the glucose signalling Ras-protein kinase A (PKA) pathway. Among the standing questions regarding these pathways an important one related to IIS signaling and the role of GH (growth hormone) and IGF-1 (insulin growth factor 1). For instance, long lived mutant mice for the GH receptor, which are resistant to this hormone since they lack the receptor, do not benefit further from caloric restriction, whereas another mutant mouse model, the Ames dwarf mouse, which is GH-deficient does. This implies a complex involvement of the GF/IGF-1 axis and colateral pathways in the response to caloric restriction. Even though many effects of caloric restriction are species-specific, in rodents and humans CR has been shown to lead to weight reduction and to affect white fat stores. However, paradoxically in mice the beneficial effects of CR were better correlated with the ability to maintain these fat stores. In humans, CR has also been shown to produce what is called metabolic flexibility, by bolstering the body abilities to use whatever energy sources available, be it glucose or fatty acids. This property has been linked with metabolic health, and more and more with longevity. All this findings are good and fine, but what about us? What about humans? Is there anything we can apply to ourselves from this research? Let’s start with research on our nearest cousins, the primates. 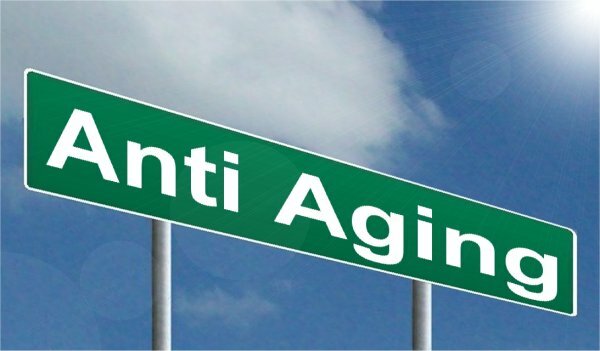 In rhesus monkeys, 2 studies submitted 30 of them to a 30% CR and while one of the studies (the NIA, National Institute of Aging) did not find an extended lifespan, it did find an improved healthspan, that is, a delay of the onset of age related diseases. The other study, from the Wisconsin National Primate Research Center (WNPRC) reported significant improvements in both life- and healthspan. One may wonder about the difference in the outcomes of these studies, but they are probably due to the differing genetic backgrounds and the different dietary composition, both being factors that in mice have been shown to be of importance. A very recent controlled randomized study on 218 non-obese but overweight individuals, CALERIE (Comprehensive Assessment of the Long-term Effects of Reducing Intake of Energy), recently reported that a two year 25% caloric restriction is possible for humans and implies health benefits, such as reduced inflammatory markers and cardiometabolic risk factors. However, not everything is good news, caloric restriction took a toll on bone density, and therefore patients were recommended to exercise to offset this side-effects. The interesting fact was that the diversity of the patient pool shows that such an intervention can have beneficial effects even in a genetically heterogeneous group. But there are several considerations to be made of such a study, for instance longer duration studies should be performed to assess the long-term effects of CR, and the patient group should be extended to people without excess weight to discern whether baseline health status affects the extent of the benefits and/or limits detrimental effects. A good question to ask is, is it really necessary to undergo such an extreme dietary intervention to extend lifespan? There are some studies that suggest that avocate for periodic, specific or targeted restrictive interventions with the goal of diminishing the detrimental effects and easying compliance. Of that topic, we will talk in another article, for now you have already quite some information to munch on. Nat Med. 2015 Dec;21(12):1416-23. doi:10.1038/nm.3998. The metabolic regulation of aging. Finkel T.
Mech Ageing Dev. 2016 Mar;154:49-61. doi: 10.1016/j.mad.2016.02.005. Epub 2016 Feb 10. The impact of nutrients on the aging rate: A complex interaction of demographic, environmental and genetic factors. Dato S, Bellizzi D, Rose G ,Passarino G.